When it comes to choosing the right fuel card brand for your business, there’s no one-size-fits-all approach, so it’s important to take into consideration the unique needs of your business. As well as its scope and size, budget, and the reputation of each fuel card provider before you make your decision. Allstar services over 38,000 businesses and 1.1 million drivers, Allstar is one of the largest fuel card companies in the UK. After more than 40 years in the industry, Allstar provides quality customer care and a Rolodex of products and services. Boasting the most extensive fuel network with over 7,600 filling sites across the UK, you can be sure you’ll never want for more. In this review, you’ll find out what you need to know about Allstar, including who they are and what they can offer. Founded in 1974, Allstar began as Blue Star Garages and achieved early success buying fuel in bulk and passing those discounts along to customers. In 2005, Blue Star changed its name to Overdrive Business Solutions Limited before ultimately becoming Allstar. Currently, they have headquarters in Swindon, England. Allstar cardholders have the option of purchasing both petrol and diesel. You can also save up to 20% on maintenance and repairs with access to over 9,000 participating garages. In addition to saving you time and money, with Allstar, you can expect advanced fraud protection, HMRC-approved invoices, admin control, and 24/7 online account management. One of Allstar’s best traits is that they’re very upfront about pricing. With their fees laid out clearly in their standard tariff report, updated annually as needed, you can be sure there are no hidden charges. *Bearer cards require a separate agreement, and other restrictions apply. Suitable for a variety of fleet sizes and car types (including cars and vans), this card is a smart investment for many. From easy VAT claims, fraud prevention, savings of up to 2 pence per litre on diesel fuel, and discounted maintenance and repair services, Allstar’s One Fuel Card will give you all the support and admin control you could need. For SME fleets who primarily fuel up locally, Allstar’s Supermarket Fuel Card should be right up your alley. Accepted at over 3,000 conveniently located fuel sites, including the four leading supermarket chains, this card will allow you to manage fuel consumption while maximizing profits efficiently. This card is tailor-made for vehicles in the public sector, which ensures that you’re getting the best possible value from a government-approved supplier. Allstar connects you to an online account platform, which allows you to control every aspect of your fleet. Working in conjunction with data analysis reports, each card can be configured to implement purchase restrictions for your drivers, such as fuel type and products, including engine oil or car washes, as well as fueling frequency, time, and volume. Cards can be personal for each driver, embossed with the driver’s name and vehicle registration, protecting your business from fraudulent purchases. Claiming expenses can increase your workload exponentially, but Allstar’s single, VAT-approved, and HMRC-compliant invoices will lighten your administrative load. 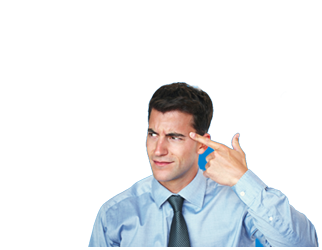 This invoice also includes valuable transaction information, such as the point of sale, as well as a VAT breakdown. With Allstar’s Chip & Pin technology, your fleet will be protected from the threat of fraud. Allstar is accepted at over 90% of stations throughout the UK, and their network is continuously expanding, which means your drivers will never have to go out of their way to refuel. AllStar cardholders can now use hydrogen fuel-based vehicles at ITM Power refuelling stations. Drivers can plan their routes ahead of time with Allstar’s smartphone app and Nav download, ultimately saving you cost on fuel and travel time. There isn’t a wealth of customer reviews available online; their TrustPilot page only has two reviews and averages 5.4 out of 10 stars. But Allstar is the UK’s leading fuel card provider, servicing over 38,000 businesses and 1.1 million drivers and has been in business for over 40 years, which is indicative of the quality of their support team. 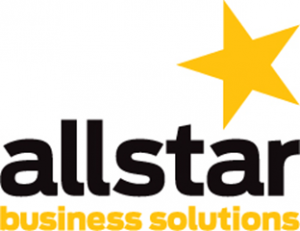 One of Allstar’s standouts is the provision of your dedicated account manager. You can also count on reliable support from reps both online and via the phone during regular business hours. Their website also hosts a blog offering comprehensive tutorials and articles about fleet and fuel management, as well as the latest in business news and tips. Allstar’s range of types of fuel cards suggests a certain amount of versatility regarding the customers to whom they provide their services. If your fleet requires an available, wide-ranging network coverage throughout the UK, you won’t do much better than Allstar. However, Allstar is not for everyone, unusually small and local fleets. This is because Allstar’s fees might not be worth the cost for businesses who don’t need access nationwide cover; you don’t want to pay for services you won’t be using. If you’re a small business, maximising profits is the most important factor, and you likely need a cheaper and simpler card provider like fuelGenie. Allstar also isn’t suitable for those who operate internationally. That said, Allstar could be a smart choice if you’re an SME expecting to expand in the future. Given its long-standing reputation, and no monthly or early termination fees, Allstar is worth considering. Allstar fuel cards also aren’t a good fit for fleets requiring cover internationally. Otherwise, Allstar is an affordable UK-based fuel card provider with reliable nationwide coverage. Are you ready to compare all of your fuel card needs? Check out the ExpertSure guides here to find out more. With transparent pricing, a wide range of product features, including 24/7 account management, advanced security and fraud protection, not to mention the UK’s most extensive fuel network, it’s no wonder that Allstar remains an industry leader. Their wide selection of cards caters to a variety of fleet types and business models, which gives their customers flexibility as their business grows and changes over time.